The combination of these 3 treatments improves sun-damaged skin, as well as aging and sagging skin. It will greatly improve texture, tone and collagen production. 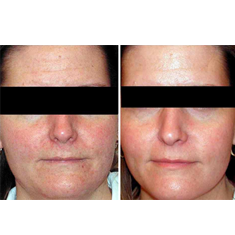 5 Vibraderm™, and 4 LimeLight IPL facials OR 5 Laser Genesis and 3 Titan™ .